Now features gold coil windings. 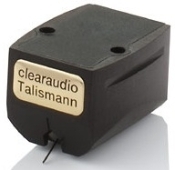 Please see our Clearaudio Product Information page for full specifications. Call or email for package prices and exchange prices. Ships free in the USA.